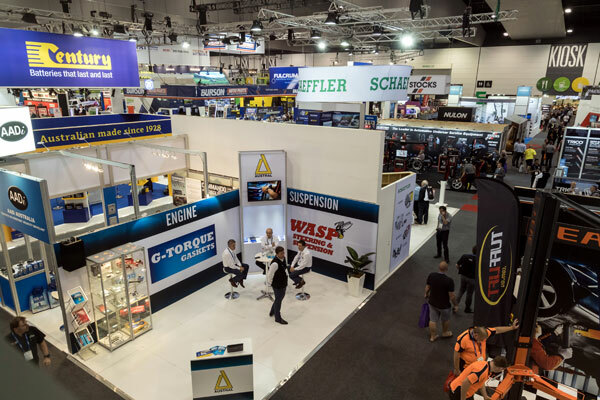 THE 2019 Australian Auto Aftermarket Expo will be upon us before we know it, with the organisers claiming the majority of show stands and sponsorship opportunities have been snapped up seven months before the event’s doors open on April 4, with advance exhibitor bookings at an all-time high. Covering more than 21,000 square metres of floor space at the Melbourne Convention and Exhibition Centre with more than 400 exhibitors across the Auto Aftermarket and co-located Collision Repair expos, the biannual AAAA Expo will again be Australia’s largest automotive industry exhibition. VASA will again be exhibiting at the event, meeting existing members, greeting new ones and providing vital information to event-goers about the changing automotive repair sector from the rapidly converging refrigerant, thermal management and electrical perspectives. In addition to the exhibits and opportunities to meet face-to-face with customers, this trade-only event will host an educational workshop program that will be announced in the coming months. Australian Automotive Aftermarket Association executive director Stuart Charity said exhibitors at the event would be seizing the opportunity to “align their brands with the largest and most successful automotive aftermarket industry event in Australia”. “With a limited number of stands still available and many of our sponsorship opportunities already taken up, we encourage you to act now to ensure that you take advantage of this one in two-year opportunity to drive your business harder during this massive three-day industry event. We are looking forward to what is shaping up to be our best Expo yet,” he added. For more information and registration, visit the Australian Auto Aftermarket Expo website. The event runs from Thursday, April 4 til Saturday, April 6 at the Melbourne Convention and Exhibition Centre.